OTTAWA — Contentious wording in Ottawa's summer-jobs program that required groups to declare themselves supportive of abortion rights to get funding has been dropped, and new rules put in place to appease faith groups and pro-choice advocates who each fuelled a furor over the policy last year. "It still achieves the same aim of ensuring that groups that are primarily against human rights, like anti-choice groups, are not going to be eligible for funding still, and it appears to satisfy the concerns of religious groups and churches," said Joyce Arthur, executive director of the Abortion Rights Coalition of Canada. "Any employer is subject to human-rights codes," Pennings said. "To have an employer check a box … seems a little silly." "They felt this was about their values and beliefs and not about the jobs and the performances of the students in particular roles and we took that to heart," Labour Minister Patty Hajdu said in an interview. "We've been working on making sure we do what we intended to do, which is to stand up for the rights of Canadians ... but that we also work closely with faith-based groups and others so that they can see how they themselves would fit into this program." "The withdrawal of the Liberals' attestation is an admission they were wrong, and a desperate attempt at damage control for the prime minister heading into an election year," they said in a shared statement. "Unfortunately, Justin Trudeau cannot be trusted to back away from basing funding decisions on whether or not you hold a certain belief." At the end of the summer, employers and employees will be required to fill out a survey so the government can fine-tune the program. 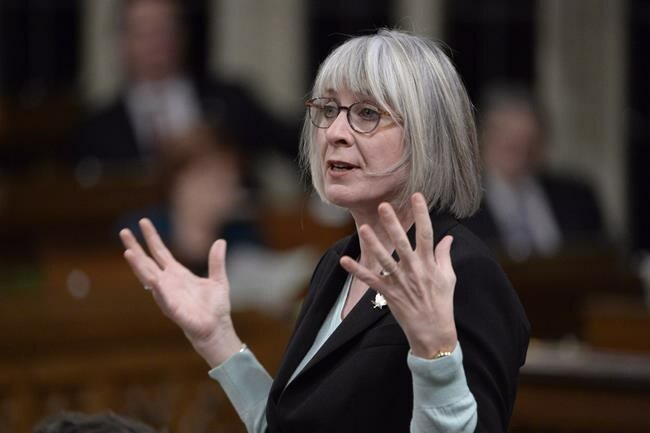 Hajdu said employers will also be required to follow mentorship plans for their workers as part of efforts to ensure only "quality" jobs are funded. Note to readers: This is a corrected story. A previous version misspelled Ray Pennings' last name.